The term refers to a levy, or tax, on the use of plastic bags for carrying purchases from groceries and other shops. The rationale is that if the government taxes the use of plastic bags, whereby people have to pay for each plastic bag they use at a shop, which used to be free, then more people will stop throwing away the plastic bags after one use and re-use the bags or bring their own reusable paper or other bags. Each jurisdiction where the levy is implemented provides for exceptions to the levy that vary from place to place. Alternatively, some places have simply banned the use of plastic bags for shopping. The problem with plastic bags is that they use fossil fuels to make, and they get thrown away after one use, and end up in landfills or along highways. 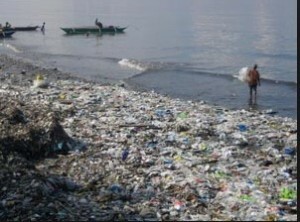 Plastic bags do not decompose but remain in the environment for long periods of time. The plastic bags usually cost about 5 – 15 cents. In 2002 Ireland became the first country to impose a plastic bag levy. It led to a 90% drop in use of plastic bags, with one billion fewer bags used, and it generated $9.6 million for a green fund supporting environmental projects. In addition there is much less roadside litter from plastic bags. Ironically, with the success of the program, and people bringing their own reusable carriers to shop, the proceeds from the levy have fallen and there is less money for supporting environmental projects. Such a levy is now in place also in Northern Ireland, and is called the “carrier levy” as it applies to all one-time carriers for use in shops regardless of the material from which the carrier is made. The levy has only recently been introduced in England. Examine the exceptions to imposing a levy on plastic bags where you live and determine if some of the exceptions could be eliminated and, if so, why and how. What is the current status of the implementation of the plastic bag levy, or ban, where you live? How many bags have been eliminated in the environment since the levy was started? Where is the money from the levy going? How do you deal with the levy? Do you pay for each bag or take a reusable carrier with you each time? What about other members in your family? If some in the family continue to use and pay for plastic bags, maybe it’s time for a friendly chat with them.